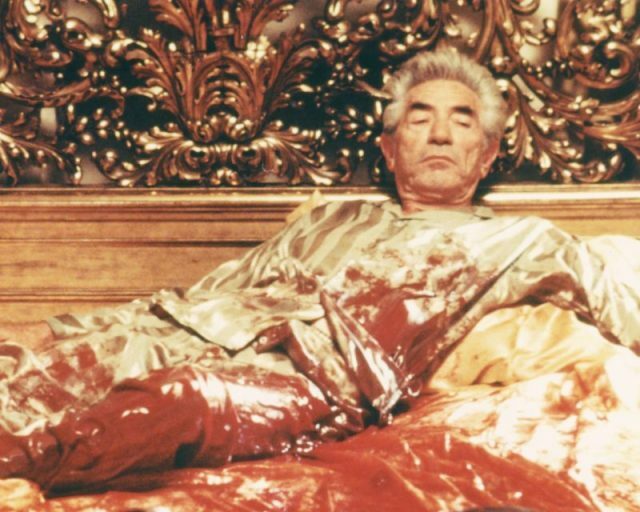 It was the scream that no one who has seen The Godfather can ever forget: Hollywood mogul Jack Woltz, played by John Marley, bellowing in terror as he discovers, just after dawn, the severed head of his prize racehorse, Karthoum, gushing blood all over silk sheets in the luxurious bed he’s been sleeping in. 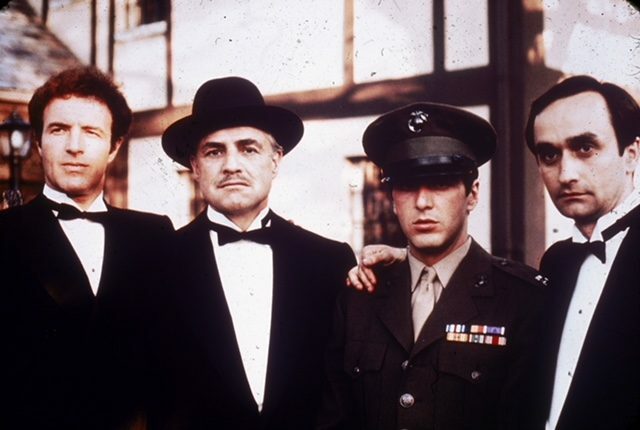 In that single action, the power, the reach, and the ruthlessness of Don Corleone is established, both in the film, in which “the Godfather” is played by Marlon Brando, and in the 1969 novel written by Mario Puzo. Woltz had defied and insulted Don Corleone over the casting of the crime boss’s godson in a movie — and this is the result. The luxury and grand architecture of Woltz’s California mansion make a lasting impression in the film. 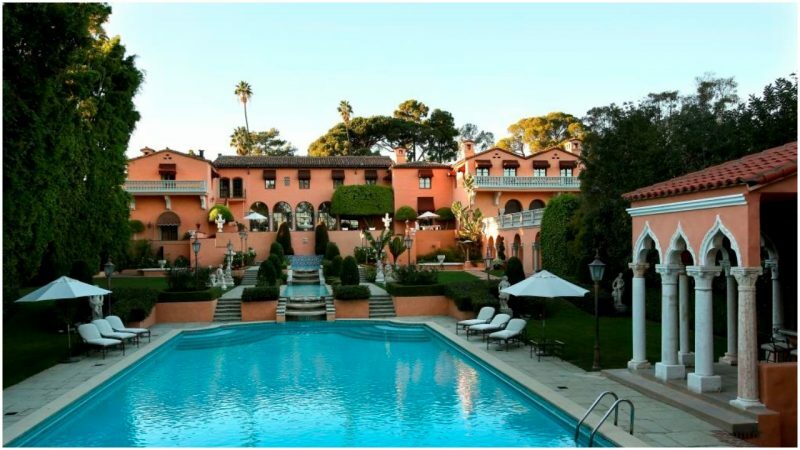 That was made possible by the film’s director, Francis Ford Coppola, shooting the entire sequence — Woltz tries first to charm the mafia lawyer, Tom Hagen (Robert Duvall), with a tour of the grounds and horse stable, followed by a dinner — in a real-life grand Beverly Hills Mediterranean-style estate. 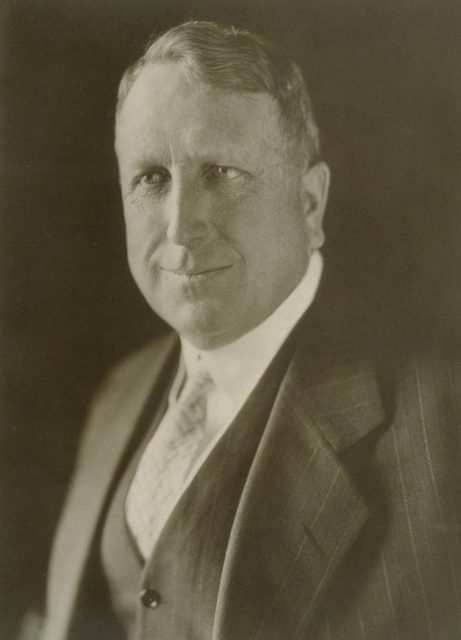 It was built in 1927 and purchased by William Randolph Hearst. The estate has 30 bedrooms and, interestingly, 40 bathrooms, as well as cascading waterfalls leading to an Olympic-size swimming pool, a two-story library, a lighted tennis court, two screening rooms, and a billiards room with herringbone parquet floors. The house “can easily accommodate up to 400 guests for a seated dinner and more than 1,000 for a casual get-together,” wrote Architectural Digest. 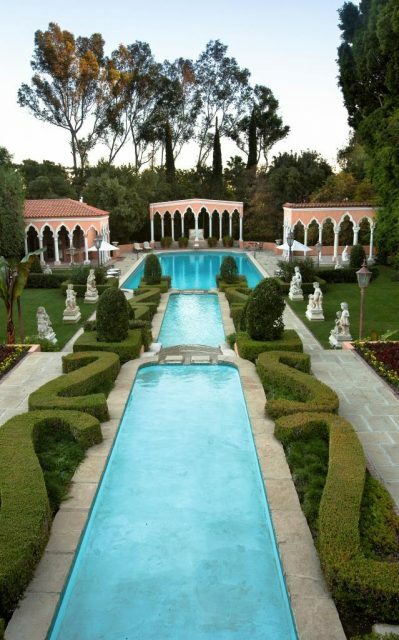 The estate is up for sale for $135 million — two years after it was listed at $195 million. “‘Godfather’ Horse Head House is Back on the Market for $135M,” according to the headline of the story posted on October 3, 2018, on Curbed Los Angeles. According to the Wall Street Journal, the house failed to find a buyer at $195 million and so was taken off the market. “The seller is Leonard Ross, an attorney and real-estate investor.” The house has been rented out for events while the owner looks for a sale. The Beverly House, as it is called, was designed by Gordon B. Kaufman, the architect of the 1935 Los Angeles Times building, Hollywood Palladium, Hoover Dam, and Santa Anita Racetrack. The house was one of the destinations for John F. Kennedy and Jacqueline Kennedy’s honeymoon. As for the less graceful use of a severed horse head in The Godfather, it is believed that Mario Puzo came up with this form of punishment and intimidation of Jack Woltz out of his own imagination. There is no known incident of a racehorse beheading in mafia history. However, the entire plot development is said to be loosely based on Frank Sinatra winning the role in From Here to Eternity in 1953, which was a major comeback for the actor/singer, over the objections of producer Harry Cohn, who disliked him. 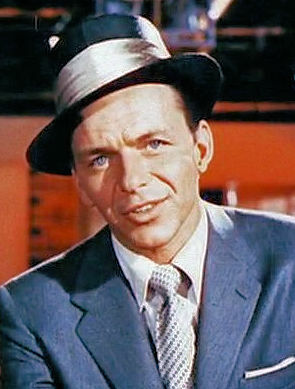 The part of Angelo Maggio later won Sinatra an Oscar. Woltz responds by shouting obscenities over how much he hates Fontane, who seduced a young girl that the older Woltz wanted, and then launches into anti-Italian insults. Sinatra always resented these comparisons. His whole career was dogged by rumors that a mafia bigshot had threatened a bandleader to release Sinatra from a restrictive contract, another anecdote that showed up in the book and movie The Godfather. There was also some outrage over a real horse’s head being used in the scene. Coppola thought that the fake horse heads he was shown didn’t look good enough.